Slowly we’re moving away from the designated study room and heading towards a shared space that keeps us close to our family and friends. And I for one are cheering about it! 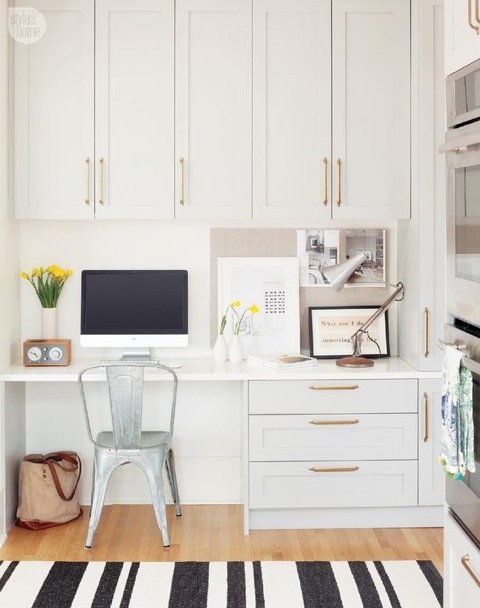 The study nook is a less formal space that can still offer the benefits of a traditional study yet is much smaller and compact. Not only are study nooks a great way to maximise space, they are more open and keep you closer to your family and friends. Your study space is no longer a place just to grind through the to-do list, it’s a haven to inspire you to kick work and life goals. If you have a free space of say a metre by a metre, this could be the perfect fit! 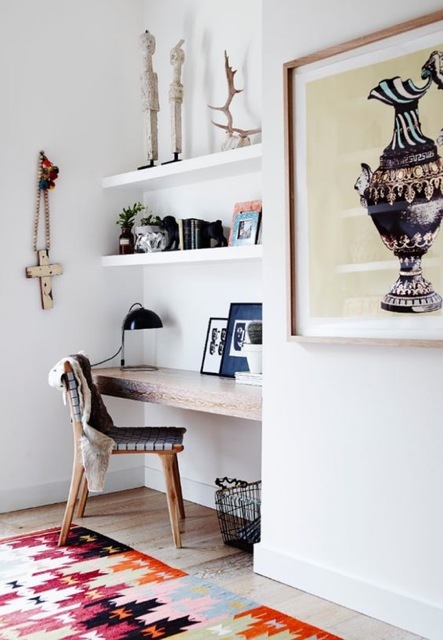 Keep scrolling to see my top 10 office nooks. Location, location, location! 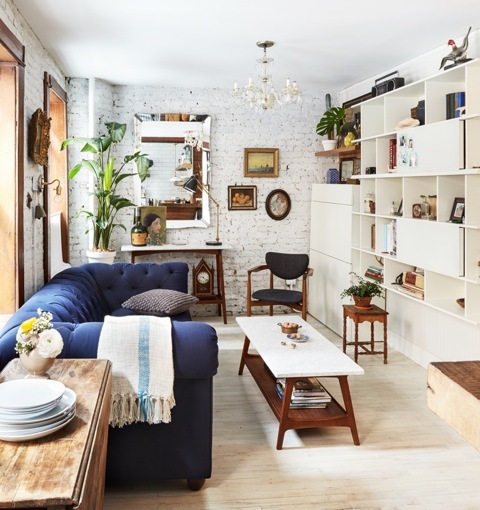 If you’re all for chatting amongst family and friends at your desk, the living room or kitchen is one of your best spots for a study nook. Unfortunately, we can’t go to Hogwarts and study to be a Witch or Wizard but you can pretend to be Harry Potter and move your study nook under the stairs. 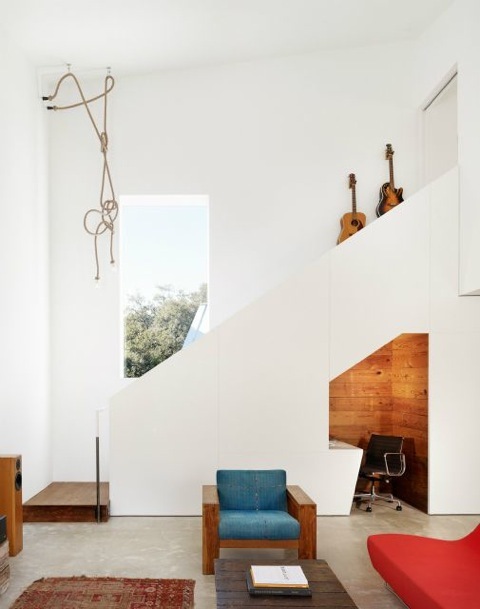 The use of natural light and high ceiling gives the illusion of more space in a some what small hallway. 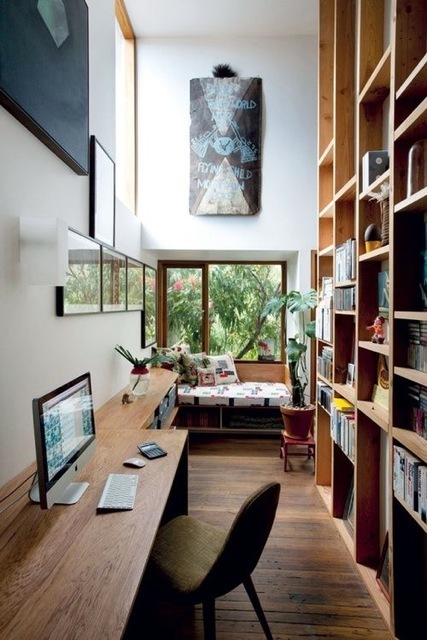 If you are lacking in space, a built in study nook will tick all the boxes. 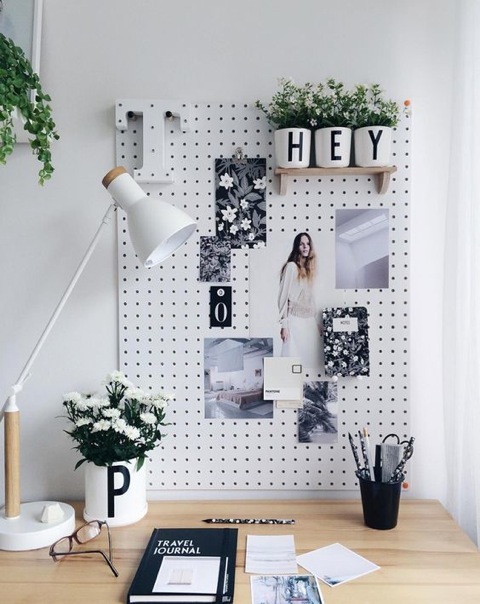 Make this space a feature by adding in art, greenery and pops of colour. 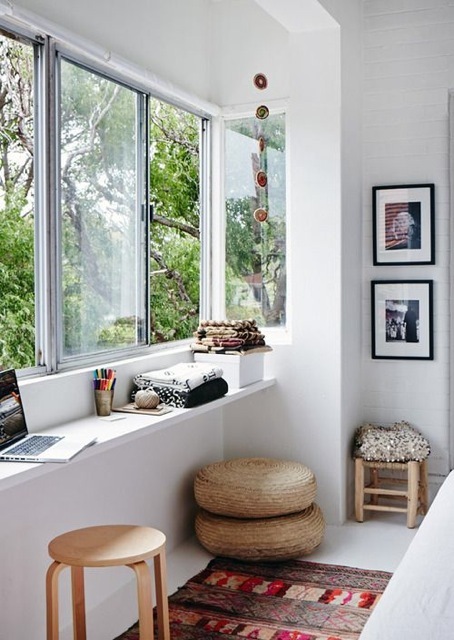 Living in an apartment doesn’t always offer a lot of space but fortunately, there are study nooks that work double time. 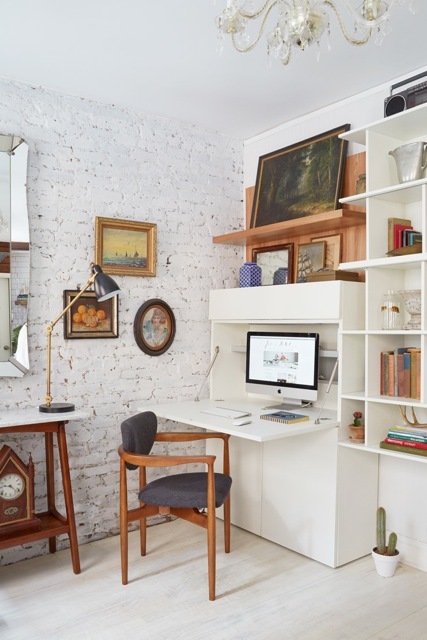 Opt for a desk that closes over to conceal your computer and pieces inside for a seamless clean look. It’s not the size of the nook but how you use it. 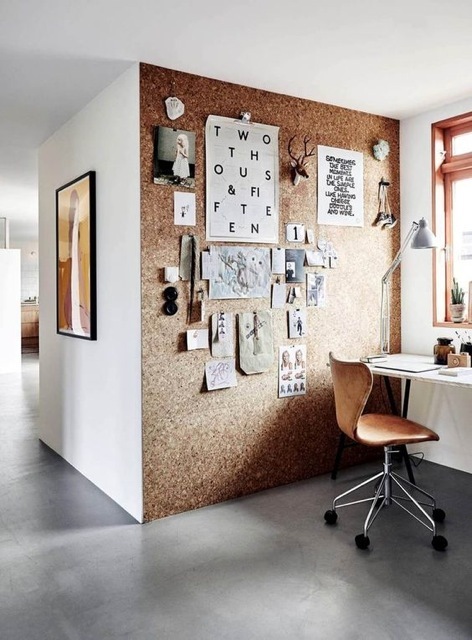 Make all aspects of your room user friendly by creating a floor to wall pin board. For the dreamers out there, this window sill nook offers natural sunlight by day and a dark starry night for the evening. 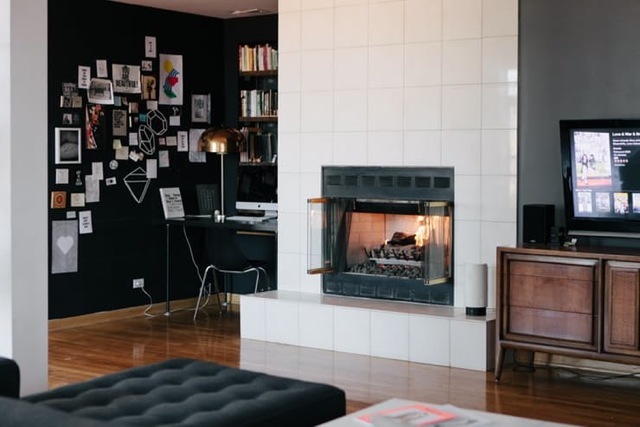 Create a dramatic difference by painting the walls a dark colour to clearly define the space. 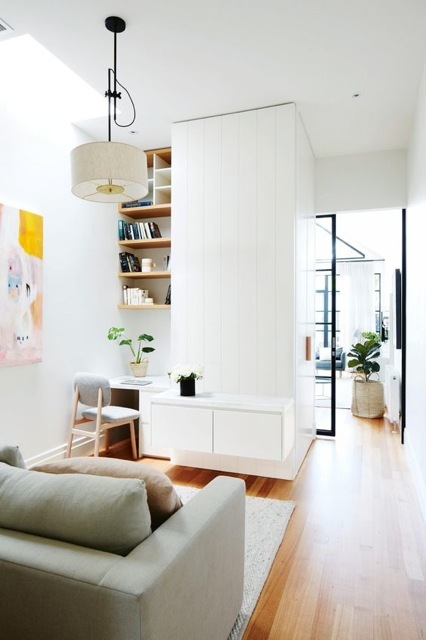 Being organised goes hand in hand with a study nook and should work in harmony with one another. 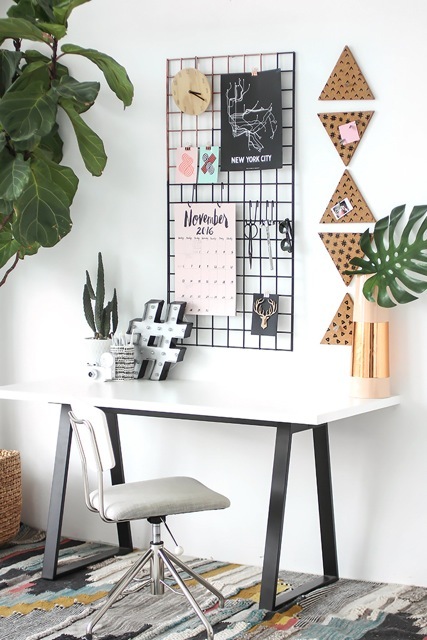 A grid board is a fun, quirky way of displaying items like a calendar and to-do list. 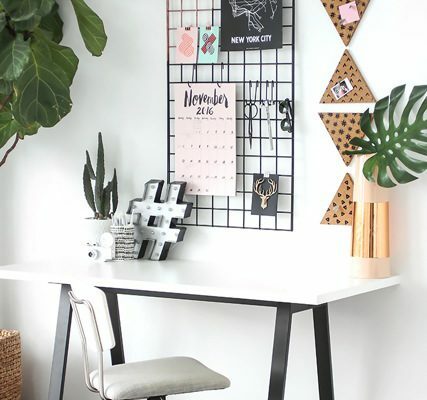 Finally, make your study nook a creative and uplifting space you want to work in. There’s no denying we don’t always want to do our work or life duties, but at least you will feel inspired with an Instagram worthy set up. Want more? Like us on Facebook, Instagram, Twitter and Pinterest for daily posts and upcoming news. 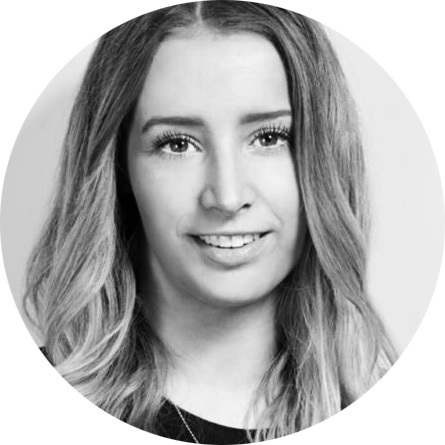 Cara is a Visual Merchandiser by trade with an eye for all things style. With this Cara believes that style doesn’t have to stop at work or how you dress; it can be part of your home and how you live. Gift Guide: Mother’s Day For Every Kind Of Mum! Do Computer Glasses Really Work? We Take EXYRA Eyeglasses For A Spin! Our aim is to share the things we love, those white-wine-on-the-deck conversations about fashion, health, beauty, relationships and lifestyle. We hope to encourage others to embrace life with all of its uncertainties and joys, make use of every opportunity, to work hard and to think positively. To put more merry in The Merry-Go-Round of life.